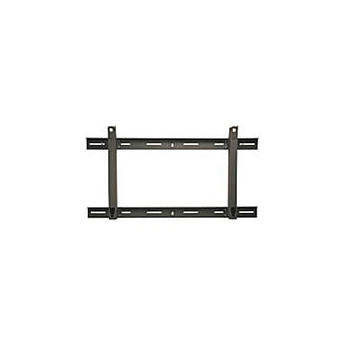 For Flat Panel Displays 37 to 103"
The Chief PSMH2582 Heavy-Duty Custom Fixed Wall Mount is a budget-friendly alternative for mounting your flat panel displays up to 103". The PSMH2582 mounts flat panel and plasma TVs and LCD screens larger than 37", and up to 103", to a wall using an included custom hardware kit. The one-piece bracket PSMH2582 is UL listed for strength and is backed by a 10-year warranty. The bracket is also Seismic rated for safer installations and features quick landscape view installation and quick release. Multiple optional accessories are available, as are Chief's optional locking flag accessories (PAC130 and PAC135). Box Dimensions (LxWxH) 44.5 x 8.5 x 7.75"